The Cascade Plant Growth 12-bulb LED Light features 12 LED bulbs with a low voltage from 110-120 volts. This LED is essential for plant growth in either an aquatic or terrestrial environment. The Cascade Plant Growth LED has both Red light in the 620 nanometer wavelength and Blue light in the 450 nanometer wavelength creating an optimum environment for your plants. 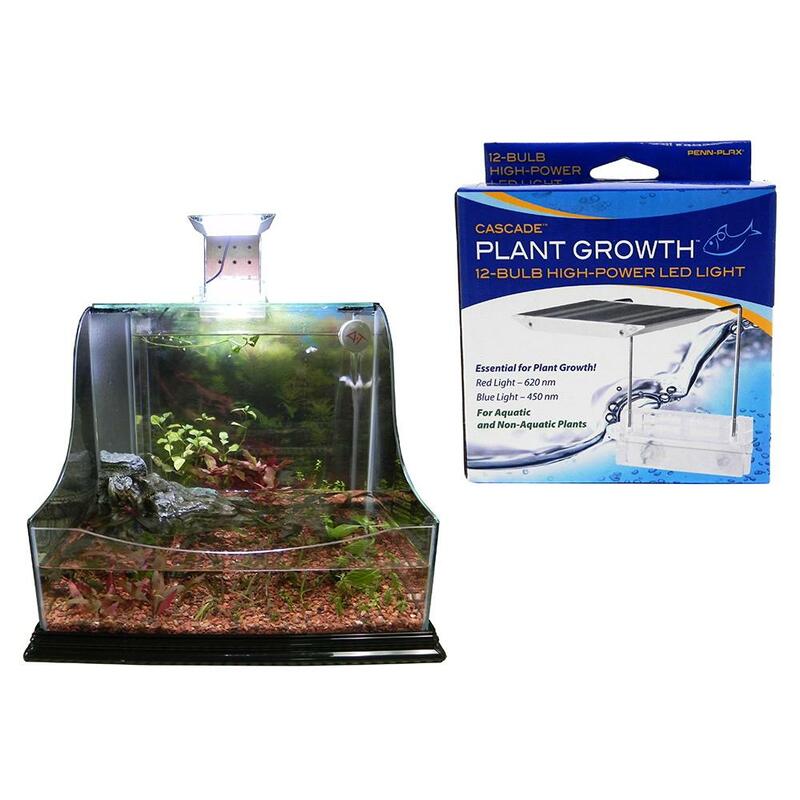 We have tested this item in our shop and it proved successful in growing healthy plants in both a terrestrial and aquatic environment.